Cooking weeknight dinner is always kind of a chore. Getting the groceries, prepping the meal and then actually getting down to cooking can take it right out of you. Not to mention that you’re doing all of this while you’re hungry and tired after a full day’s worth of work. 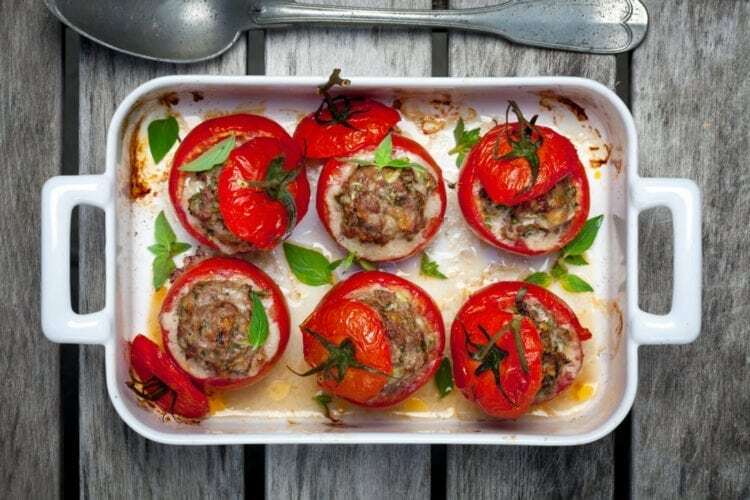 We love these low-carb cheeseburger tomatoes, which pack all the deliciousness of a cheeseburger, minus the extra carbs of a bun. This can be whipped up in about 20 minutes, and the ingredient list is short: All you need is ground beef, shredded cheese and tomatoes, plus some burger toppings and spices you probably already have. Check out this recipe for complete instructions. Another fun alternative to the bun? 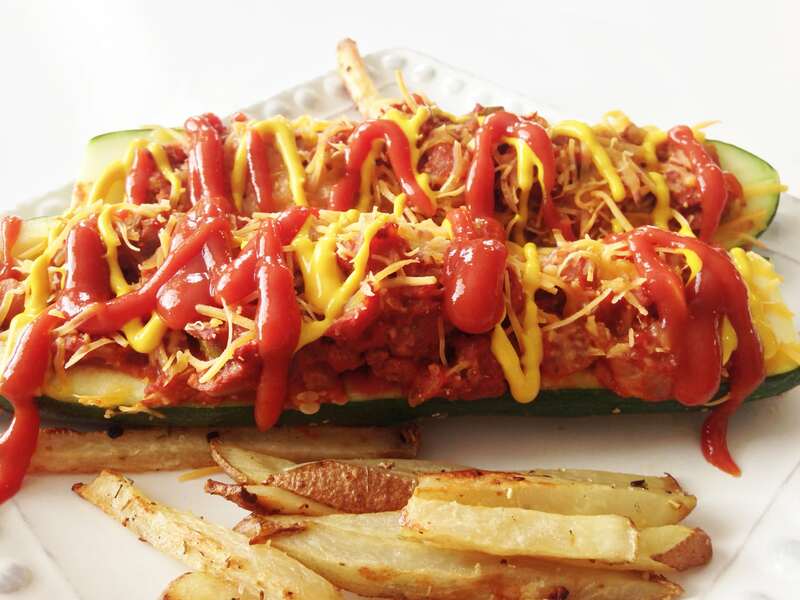 Cheeseburger-stuffed zucchini boats. Blogger The Skinny Fork fills hollowed-out zucchinis with all the flavors of a juicy burger, and it looks amazing. Want even more of an authentic all-American dish? Whip up some baked french fries to round out your meal. 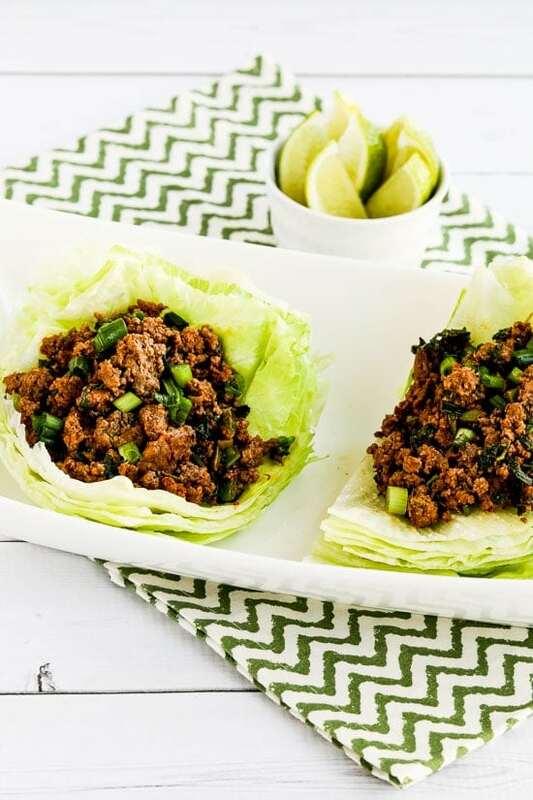 For some Asian flair, why not kick up the spice with blogger Kalyn’s Kitchen’s Sriracha beef lettuce wraps? In addition to being carb-conscious, it’s Keto-, gluten- and dairy-free, and it’s South Beach diet friendly. These wraps are made with crunchy, refreshing lettuce, which balances the punch of flavor from the fish sauce, Sriracha and lime perfectly. The best part? This dish shouldn’t take you more than 25 minutes. Craving pasta? Spaghetti squash is probably already your go-to substitution, and you can now even buy it pre-scraped. 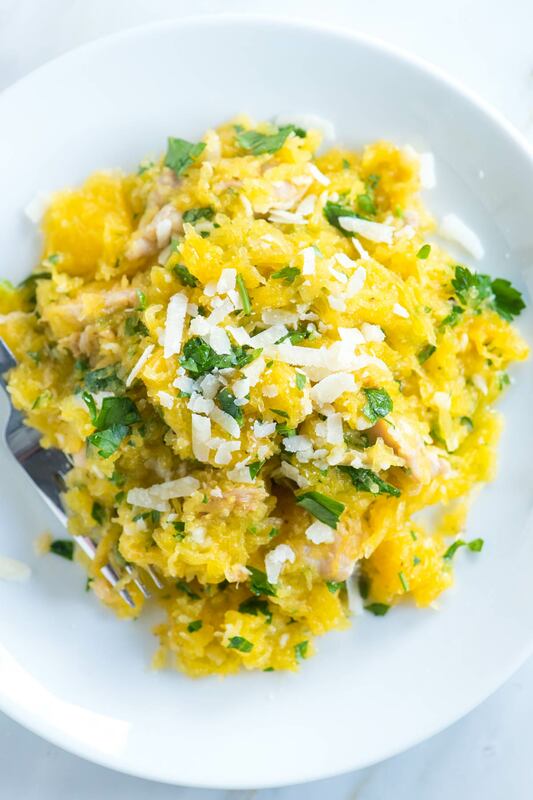 That’ll make blogger Inspired Taste’s parmesan lemon baked spaghetti squash with chicken even faster to prepare. With fresh parsley and lots of lemon, it’s a light dish that’s ideal for summer nights. After cooking the chicken with some olive oil or butter, you add it to the cooked squash, mix in some cheese and parsley, and there you have it, a satisfying pasta alternative. Anyone else have fun, tasty, low-carb meals to share? From swapping regular pizza crust with cauliflower crust, or steak fajita roll-ups without the tortilla, there are plenty of ways to put together a tasty low-carb dinner while indulging in the flavors you crave.